Arb-Med is a hybrid dispute resolution process that combines the benefits of arbitration and mediation, including: speed, procedural flexibility, confidentiality, choice of decision maker, ease of access to the tribunal, continuity, finality, and enforceability of the outcome. The primary objective of Arb-Med is the informed good faith negotiation and settlement of the dispute by the parties, with the initial assistance and efficiency of the Arbitral Tribunal’s information gathering powers, in the context of a formal arbitration process that will immediately resume if the mediation that follows is not successful. 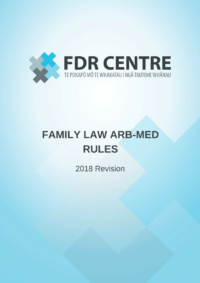 The FDR Centre has developed Arb-Med Rules for the resolution of Family Law Disputes that are robust and certain, yet innovative in their commonsense approach to the challenge of combining arbitration and mediation in a single unified process that ensures the principles of natural justice are observed and a just, final, and binding decision is made. Under the FDR Centre Arb-Med process, the parties agree to refer their dispute to arbitration, but as a preliminary and mandatory step in the process, the arbitration is stayed following the appointment of the arbitrator to allow the parties the opportunity to try and resolve their dispute by mediation with the appointed arbitrator acting as mediator. If a settlement is reached in respect of any of the matters in dispute during the mediation phase, the arbitration is resumed and the settlement is recorded as a Final Award on Agreed Terms. The advantage of this approach is that, unlike a Settlement Agreement which must be enforced as a contract where there is a subsequent breach, an arbitrator’s award may be enforced by entry as a judgment in the High Court, or by action, and enforced in terms of the award. The process is relatively simple and straightforward. If on the other hand the parties are unable to settle the whole of the dispute by mediation, the mediation is terminated and, so long as no party withdraws its consent, the arbitration will continue with the arbitrator who was acting as the mediator then acting as arbitrator to make an award that finally determines the dispute. 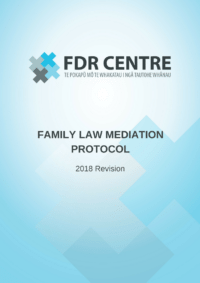 If, following the mediation a party withdraws its consent to the arbitrator who was acting as mediator continuing to hear and determine the dispute, a replacement arbitrator will be appointed by the FDR Centre.